If you're not much of a runner this is the perfect run/walk for you! 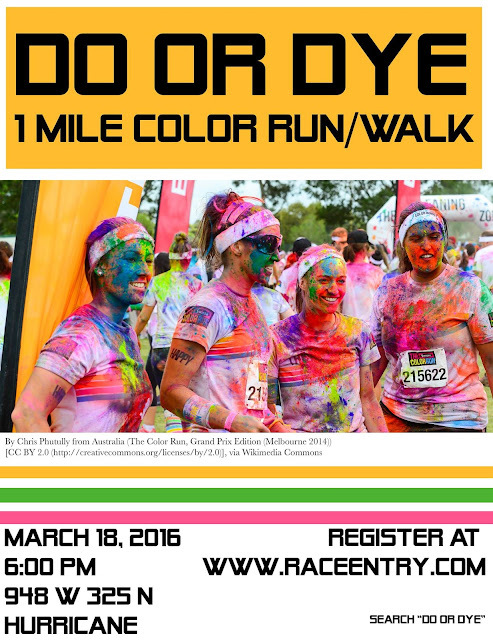 It is a one mile color run! There will be color thrown at each runner/walker every 1/8th of a mile. The run/walk is on Friday, March 18th.